this is like dessert for breakfast, somehow managing to make my mid-week breakfasts feel more indulgent than porridge! this is low maintenance and very nutritious. aim to use full fat natural yoghurt; when you see low fat products remind yourself they are frequently laden with sugar and artificial sweeteners. whole chia seeds are available in health food stores, Supervalu and in the German retailers! it is important to drink lots of fluids with chia seeds, so keep well hydrated before and after eating (not directly). 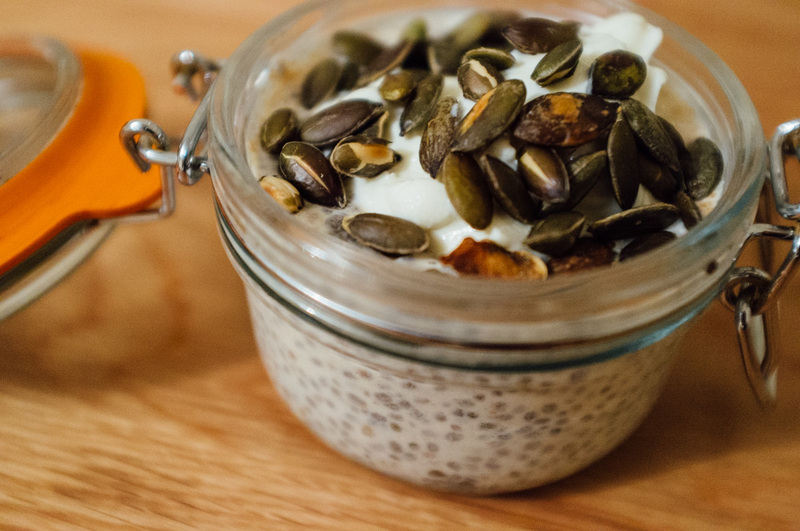 this assists chia seeds to do their job and keep everything moving.